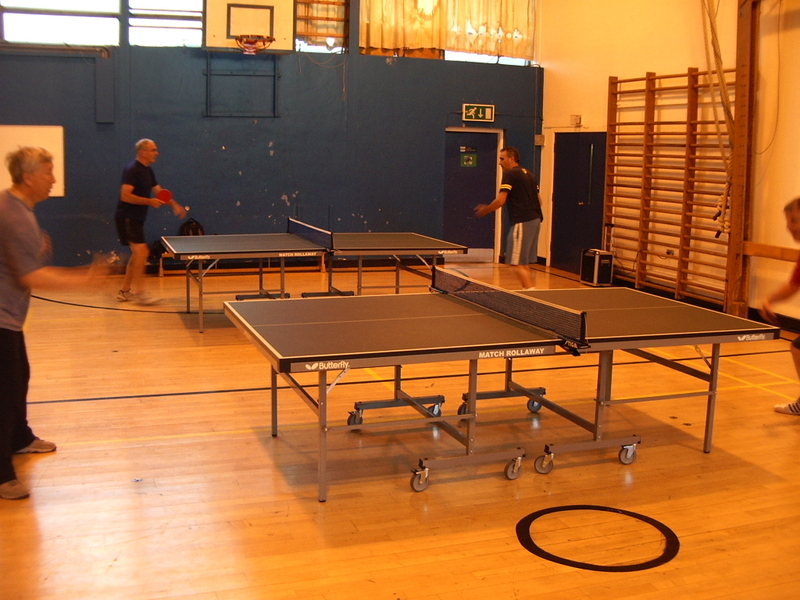 What eventually became St Andrews Table Tennis Club (TTC) was originally conceived in 1965 in the art room of the Old Burgh School by two enthusiastic teachers, left-hander Arthur Edward (Art) and Tim Grove (French and German). Former pupils James Keracher and Euan Black have recently reappeared at the club with fond memories of the early days. Indeed James still plays the same mono-coloured pimpled bat from the mid-60s (despite the fact it is now illegal). When Madras College, Kilrymont Road, was built in 1967, Arthur and Tim were joined by Sandy Smart (Woodwork and Metalwork), David Wemyss (History) and Tom Paterson (Maths and assistant rector) for informal lunchtime practice. Thanks to an accommodating janitor, the teachers also gained access to the school on Sunday evening where they were joined by Bob Hunter and David Eglinton. An after-school club provided coaching for the kids and produced a stream of talented young players. 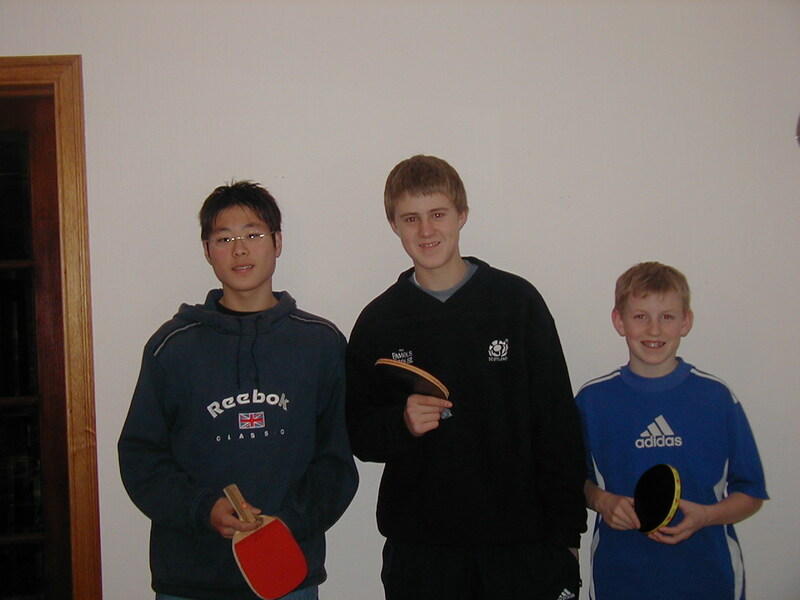 But this was not the only active group of table tennis players in St Andrews. There was already an established and very strong St Andrews club competing in the Dundee & District League. This was a student club based at the University of St Andrews. The students had some highly skilled players, especially brothers Jim and Ian Wallace. Indeed, the St Andrews team was crowned league champions in season 1975/76 with Jim and Ian ranked as the two best players in the Dundee & District Association. Two years earlier in 1973/74, as they climbed up through the divisions, the St Andrews students had not only won the Division 3 title but also the Secondary Shield and the Excelsior Cup (which was and still is normally dominated by Division 1 teams). Most away matches in the Dundee league naturally take place across the Tay Bridge, with long journeys to Brechin and Montrose required in the old days. Apart from the university students, there has only been limited local competition in north east Fife. Cupar TTC had two teams, Kilmaron and Tarvitt, in the Dundee league for about 10 years before folding in the mid-1990s. Cupar were led by Charlie Ross who also had spells playing for St Andrews. In the early 1980s Wormit TTC also fielded two sides, called the Worms and the Slugs. And later that decade, RAF Leuchars put together two teams imaginatively labelled RAF A and RAF B. 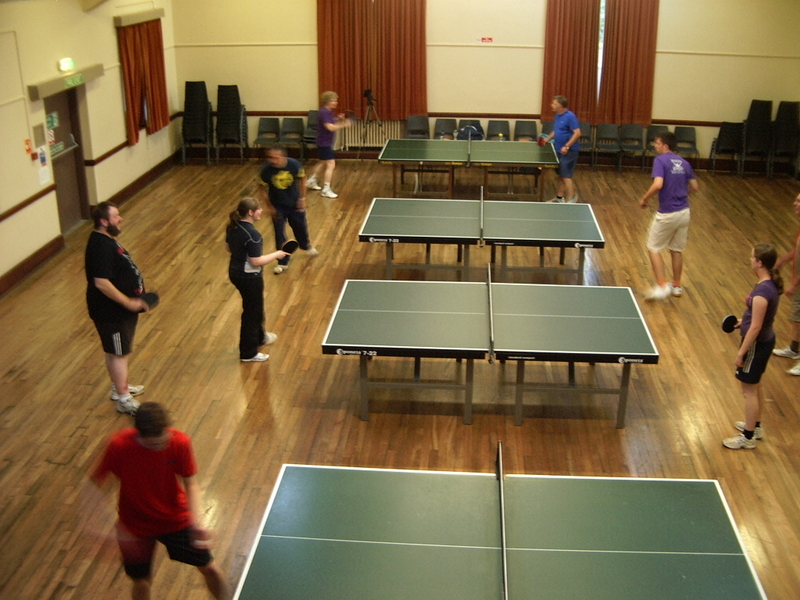 In more recent years, Gauldry TTC has occasionally played out of a remote but spacious venue in Gauldry. 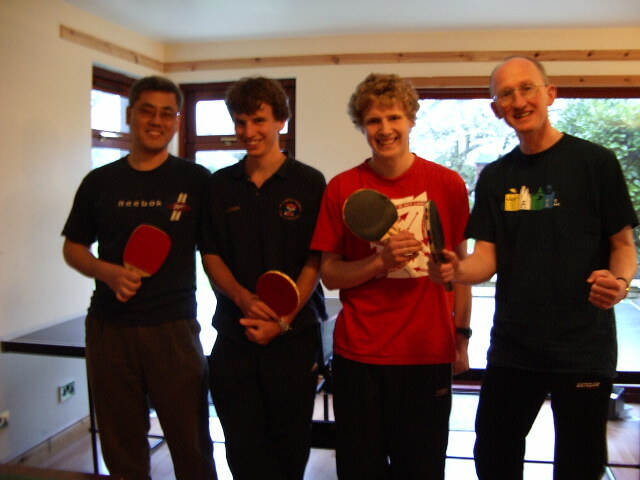 Highest marks for initiative must surely go to Scotscraig TTC who played in the games hut at Tayport’s caravan site. In 1977, having refined their skills with more than 10 years of practice and preparation, the Madras College teachers at last felt ready to live the dream and face some serious competition in the Dundee league. With the university already established as the St Andrews club, the locals registered themselves as the Madras Staff TTC with one team, named the Swots, and Arthur Edward as club secretary. In that first season (and for another 13 years), home matches were played at Madras College, Kilrymont Road, on a Wednesday evening. At that time, the Dundee & District League had 8 divisions with 10 teams playing in each. The Swots were assigned to Division 7 and had the pleasure of winning promotion in their first season. Although Brechin claimed top spot, the best player in the division was a Swot, Tim Grove. 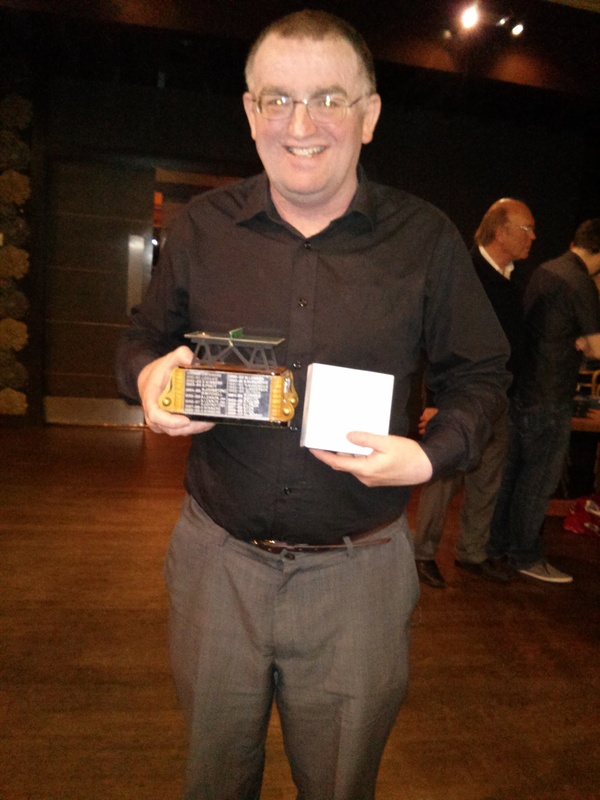 Better still, Tim had achieved the joint leading league average performance in the whole District in any division and was duly awarded the prestigious Corder Trophy in his first season. Further promotions followed. In 1980/81, the Swots were crowned champions of Division 3 with the team of Tim Grove (95% average), David Eglinton (91%) and Graham Neilson (89%) dominant and all ranked in the top five players in the division. Yet more triumphs ensued as the magnificent trio took second place in Division 2 in 1981/82 with all three players again in the top five. Impressively, the Madras squad had made it to the top division after just five seasons. Life in the 12 team top division proved more challenging for the Swots and they were unlucky to be relegated in 1982/83, albeit by the narrowest one win margin (in those days, the rule was three teams promoted and three relegated). The Swots then started to yo-yo between the top two divisions: promoted to Division 1 as runners up in 1985/86, relegated again in 1986/87 and back up as Division 2 champions in 1988/89. This was a good year for accumulating silverware as the Swots also picked up the Secondary Shield trophy with Len Pratt together with youngsters David Lau and Peter Dixon prominent in the Swot’s success. Len, a heavy chopper, added the Veteran Singles in the Dundee & District Closed Championships to his medals . Former Scottish international player, Elaine Forbes, had also joined the club, playing half a season while pregnant with her daughter Lindsay (probably the only time the club has fielded a pregnant player). Sadly for the District, table tennis was on the decline and season 1989/90 was to be the last that the league had at least six divisions. With the squeezing of the manufacturing sector in the 1980s, many of the works teams had disappeared as companies closed. The Swots continued to work hard at their game and their application paid off at last when they won the Division 1 title in 1991/92. They only suffered one defeat all season as the abilities of Ron Lindsay (2nd in the averages with 95%) and Elaine Forbes (3rd with 93%) proved decisive. Significantly, this title brought to an end a run of eight consecutive championships for the Rifle Club. Talented youngster Bobby Allen had also joined the Swots and was notable for his skills both with the bat and busking on his piano in formal attire around Europe . The Madras College Staff TTC introduced a second team in 1980/81. Emulating the Swots’ debut three years’ earlier, the Truants emerged as runners up in the basement Division 7 in their first season. The Truants’ then came 3rd in Division 6 in 1981/82 with David Weymss (72%) and Arthur Edward (62%) performing well in the averages. The Truants claimed 4th position in Division 5 in season 1982/83, with Kong Wan (74%) featuring in the line-up for the first time. Kong, a quantum physicist, uses the Asian penhold grip and is fond of drinking beer (non-alcoholic) and making light-hearted vocalisations while playing. In 1983/84, the Truants achieved 4th place in Division 4 with teenage brothers David and Gerry Lau starring alongside Kong. Indeed, St Andrews was unique in fielding an all ethnic Chinese line-up. In 1985/86, the Truants were elevated to Division 3 and finished 4th again, with Kong the second best player in the division (an average of 85%). By 1986/87, the Truants had made it to Division 2. It was in 1988/89 the Truants and Swots both competed against each other in the league for the first time. True to form the Truants secured yet another 4th place as the Swots claimed the second division title. The next year it was the Truants turn to win Division 2 with Peter Dixon as the team secretary. And so it came to pass that, after just 13 seasons competing in the Dundee league, the Madras Club had two teams in Division 1 in 1990/91. It was all change administratively too as the up and coming Peter Dixon took over as club secretary (serving for six years), succeeding Tim Grove who had held the reigns for a season when Arthur Edward stepped down in 1989. As an aside, it is interesting to note a rule change printed in the Dundee & District Table Tennis Association handbook every year from about 1986 until 1992. Reflecting a revision to the regulations of the international federation, the handbook stated, “The surface of one side of the racket shall be bright red and the surface of the other side shall be black”. Strangely, this new rule was only applied to players in Divisions 1 and 2 at that time! The beginning of the 1990s witnessed the Madras Staff TTC moving out of the school and into the Victory Memorial Hall in Market Street from season 1990/91. The hall was operated by the local rugby club on behalf of Fife Council. Although the hall offered Sunday night practice, options for home league matches were limited to a Friday night. As no other club had Friday evening fixtures, it is doubtful whether this timing would have been appreciated by many opponents. Indeed, the Lions team from Christies TTC refused to travel to St Andrews on a Friday as this was their drinking night. Another major development for the club was the launch of the Prefects team in 1991/92 with Tim Grove as team secretary for both the Prefects and the Truants. In their debut season the Prefects were runners-up in Division 4 with a young team comprising Grant Harrison and brothers Garry and Grant Trewartha. The Prefects continued to progress rapidly, winning the Division 3 title in 1993/94. Meanwhile the Swots had moved in 1992/93 to Ward Road gym in Dundee for their home matches on a Thursday night (a move which the Truants would also make from time to time thereafter). Innovative as always, the Dundee Association experimented with the short-lived introduction of a 9 team Premier league. This mirrored more enduring changes in the structure of professional football at that time. 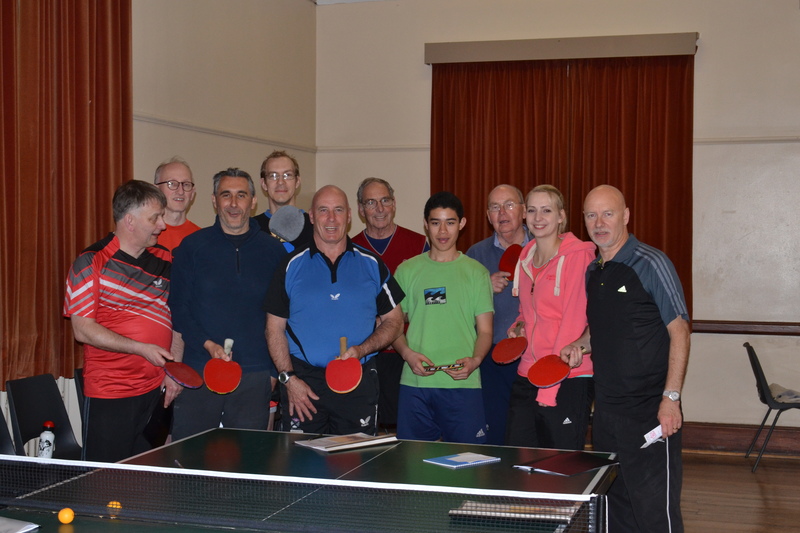 It turned out to be a truly excellent year for Madras TTC as the Truants were champions of the second tier and won the Secondary Shield while the Swots triumphed in the Stanley Doubles and were runners-up in both Division 1 and the Excelsior Cup. Not to be left out, the Prefects chipped in as runners-up in Division 4 (again!). Elaine Forbes was top of the averages in Division 1 (91%) and Grant Trewartha topped the averages in Division 4 (93%). This was the last season that the league had 5 divisions; the 80 teams of 1977/78 had declined to 46 teams in just 16 years. Season 1994/95 was notable for several reasons. Madras Staff TTC changed its name to St Andrews TTC and was now playing at home on the much more acceptable Monday evening. The change of name made sense given the move out of Madras school for home fixtures, the absence of the university teams from the league in the early 1990s, and the additional gravitas it would bring to grant applications. It was also the year that the club launched its 4th team, the New Kids. 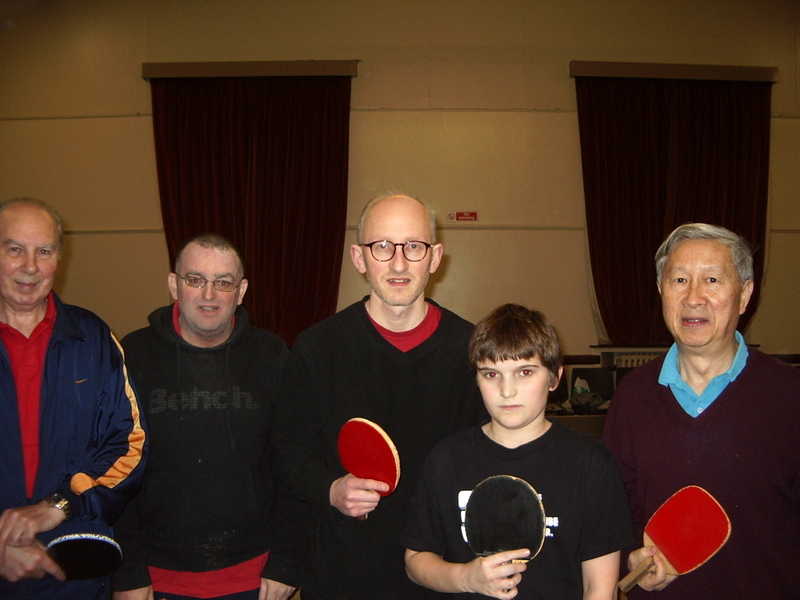 The Kids initially competed in Division 4 with Ewan Marroney, Graham Swankie, Alistair Hood and the Randall brothers, Jonny and Thomas, prominent. Jonny was making his mark both on the Dundee scene, winning the Cadet Boys trophy, and internationally as part of the Scottish primary schools squad. On occasion, the New Kids team was comprised entirely of Randall family members as father Rick competed alongside his boys. Johnny Randall and Alison Bell about to start a training session at the Victory Memorial Hall in 1996. In 1996/97, Bill Sutherland was the New Kid on the block, taking the role of team secretary and making his debut for the Kids at the age of 61. He made an immediate impact, achieving second position in the Division 4 averages (91%). Bill plays a tenacious and patient defensive game but is also able to punish a loose high ball with his trademark chop smash. 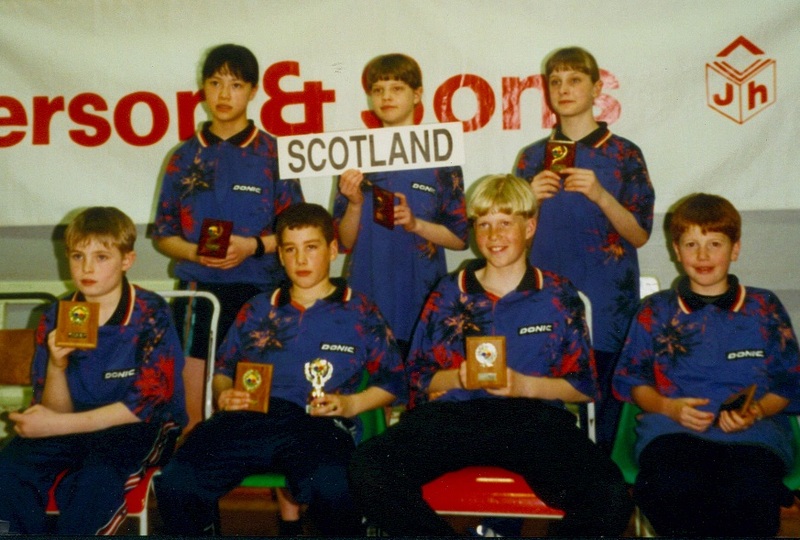 The late 1990s was a period of highly active youth development in the Dundee District as Under 12 and Under 16 mini leagues were introduced for the youngsters. St Andrews had great success with a fine crop of young players. Among the stars, Alison Bell, Stuart Bell, David Birrell, Steven Birrell, John Dobson, Ross Carstairs, Niall Finlay, Euan Forbes, Lindsay Forbes, Greg Weir and Tim Weir all shone brightly. The Scholars won the U12 league for three years in succession between 1998 and 2000, while St Andrews also won the U16 title in 1998. 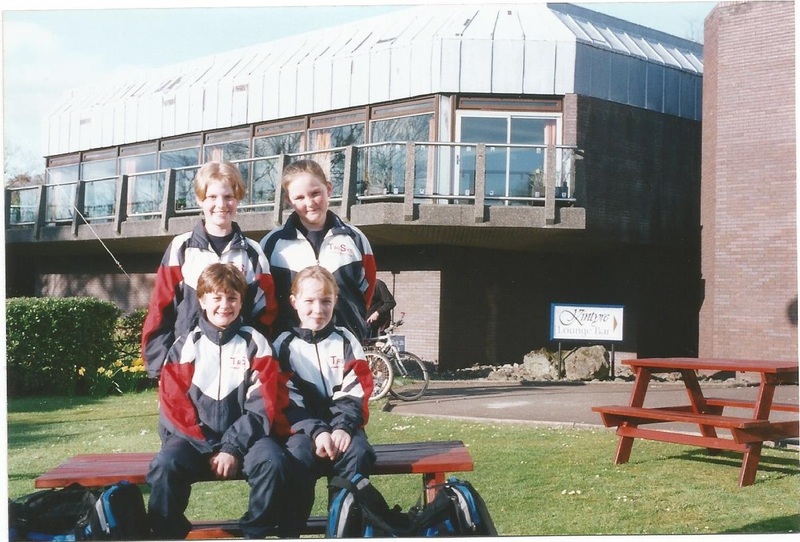 Lindsay Forbes (standing back left) with Scottish teammates at the National Training Centre, Largs in 2001. Emulating the success of her mother, Elaine, in the Dundee Championships in the late 1960s, Lyndsay Forbes went on 30 years later to win the Cadet Girls singles four times, and the Minor Girls and the Junior Girls singles twice each. Not to be left out, her brother Euan won the Minor Boys 1998/99 and Gregory Weir did the same in 2001/2. With the greater focus on youth, the Swots dissolved completely in 1996 after 7 seasons in Division 1 and didn’t return to league competition until 2004. But they returned in style, winning Division 3 thanks to Steven Birrell, Ian Smith and two university students, American biochemist Thomas Bowden, who topped the division averages with 89%, and South Korean historian Chan Kwon-Seok, a penhold player. After that success, the Swots promptly dissolved again for a year before reforming and joining Division 4 in 2006/7. 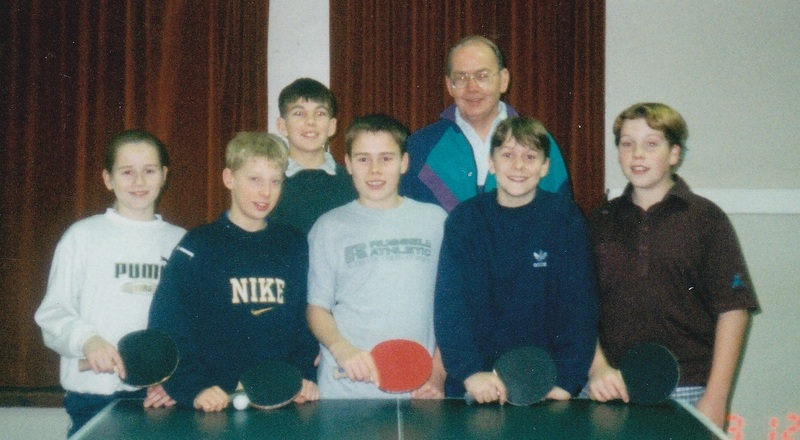 Season 1997/98 was the 60th anniversary of the Dundee & District Table Tennis Association. The St Andrews teams celebrated by achieving runners-up spots in both Division 2 (Truants) and Division 3 (Prefects). Len Pratt was top of the second division averages (89%), ably supported by both Graham Neilson (64%) and John Hutcheson (52%). Jonny Randall (83%) and Bill Sutherland (79%) starred for the Prefects alongside future Scottish international hockey player Alison Bell (51%). The Prefects were relegated back to Division 3 at the turn of the new millennium but their fortunes began to change with the arrival of former Thames Valley TTC member, and former Surrey under-18 doubles county champion, Ken Falconer. Ken teamed up with Tim Grove and Bill Sutherland to ensure an immediate return to Division 2 in 2000/1 as runners-up. Since then the Prefects have proved remarkably consistent. In 13 successive seasons, they have always been placed between 5th and 9th in Division 2. While occasionally flirting dangerously close to relegation, the team has proved to be one of the most predictable in the league in terms of finishing position throughout the 21st century. The New Kids spent the first 8 years of the new millennium in Division 3, achieving runners-up position in 2007/8 (but declining promotion) and then becoming champions in 2008/9 thanks to Tim Woollins, Bill Sutherland and Ian Smith. 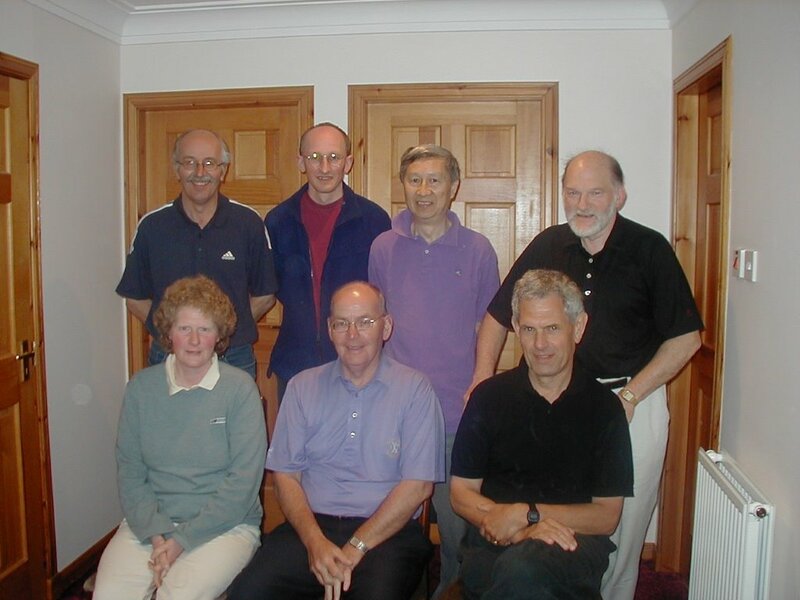 Club committee in the early 2000s. 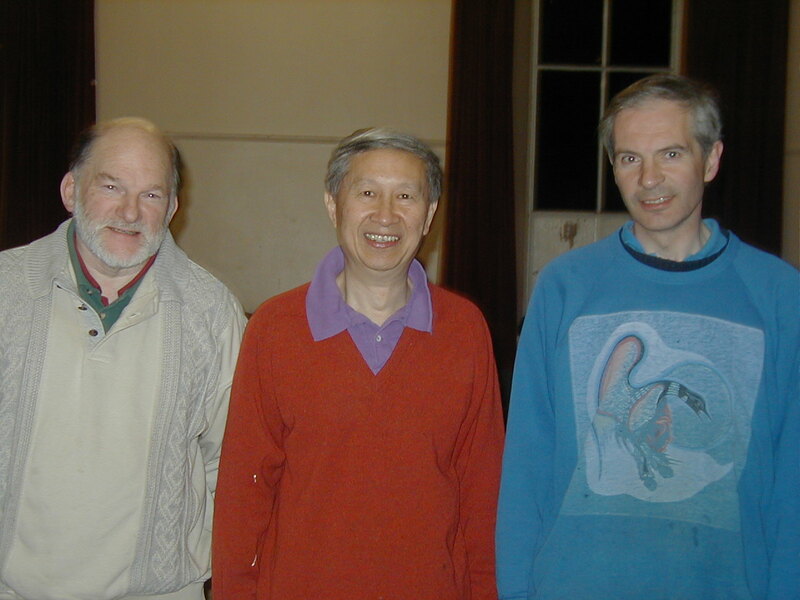 From left to right (back row) Graham Bell, Ian Smith, Kong Wan, Graham Neilson. (Front row) Elaine Forbes, Bill Sutherland and Tim Grove. The noughties, however, belong to the Truants. The signs were good in season 2002/3 when they won the Division 2 title and the Secondary Shield with Elaine Forbes unbeaten in the league and awarded the Corder Trophy for the highest average performance in any division. 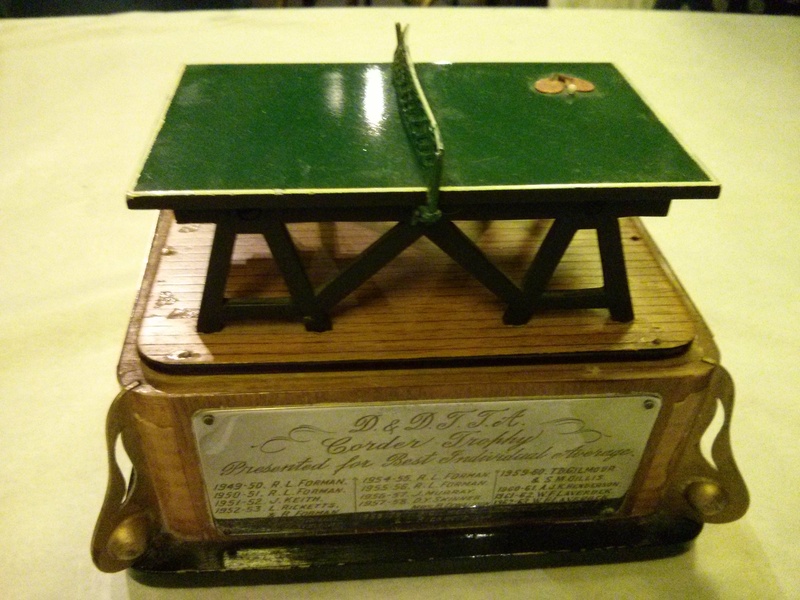 This was the first St Andrews TTC winner of the Corder Trophy since Tim Grove in 1977/78. Tim himself was now a Truant, and not far behind Elaine, coming an impressive second in the Division 2 averages on 86%. Life in Division 1 proved more challenging for the Truants though Elaine continued to show her class, placing 3rd and 2nd in the averages in 2003/4 and 2004/5. The following year, Tim Grove retired from active play after 40 years involvement in the club and the Truants dissolved for the season. The Truants re-entered the league in 2006/7 as a Division 1 team and there followed a spell of six seasons in which they dominated the Dundee & District competitions. During this period they won the Division 1 title four times (and 2nd and 3rd in the other years), the Chairman’s Challenge and the Excelsior Cup three times each, and the Stanley Doubles four times. David Smith, a county level player, had joined the Truants and was top of the Division 1 averages for two seasons and awarded the Corder Trophy for the leading league performance in 2007/8. It was the title victory in 2008/9 that proved most stunning and memorable as the Truants fielded a team of three ladies. Never before or since in the Dundee league has a trio of women wiped the floor with so many men. Elaine Forbes (86% average) led the way, ably supported by Julie Lawrence (82%) and Gillian Edwards (67%). Admittedly the girls have all experienced playing for Scotland in international competition and their class showed as they only lost one league match all season. 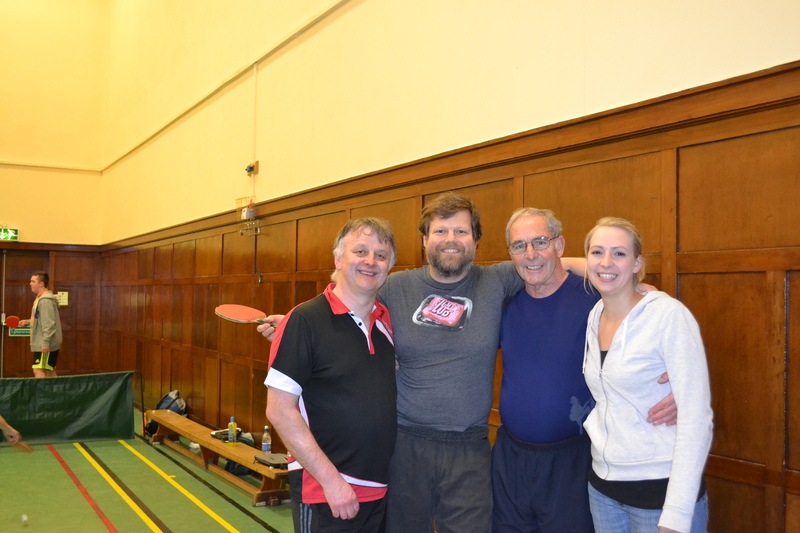 In the Dundee Closed Championships, Elaine and Julie teamed up to win the men’s doubles. They were permitted to take part in the absence of a women’s doubles competition that year, but some of the top male players were nonetheless left defeated, deflated, castrated, emasculated and determined to change the rules so that women could never again win a trophy intended for men! Other players who contributed significantly to the golden age of the Truants were Derek Bissett, Anna Kostecka and Ian Johnston. With Elaine stepping back from competitive play, the Truants dropped out of the league at end of the 2011/12 season. However, this timing coincided with an influx of new players to the club including Markus Tauber, Nick Shepherd, Neil Lea, Howard Lee, Jonathan Fraser, Alain Leger, Collin Bleak, Dave Beveridge and, more recently, Freddi Beinke, Emma Bissett, David Goddard, Vuksan Mijovic, Maxi Strobl, Robert Brown and Federico di Pace. And the fresh talent has not been slow to make an impact. 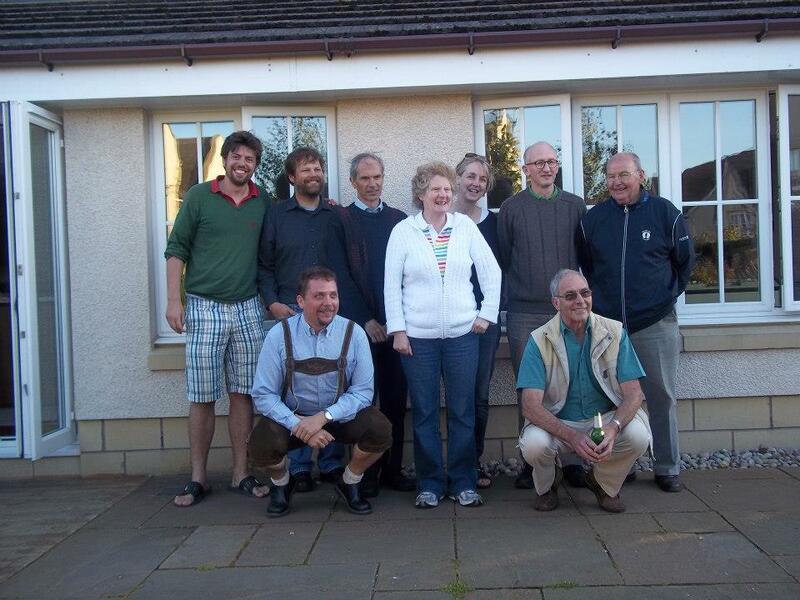 In 2011/12, the Swots squad comprising Nick, Jonathan, Neil, Collin and Alain (with some assistance from old timer Bill Sutherland) won both the Consolation Cup and the Handicap Challenge. The Prospects were formed in 2013 and have already started to make history as runners up in the Chris Halliday Cup thanks to Robert Brown making his competitive debut alongside regular (but unorthodox) Vuksan Mijovic and the team’s other relative newcomer, penholder Federico di Pace. Paul Jackson trains club members in basic coaching skills. Left to right: Howard, Ian, Nick, Alain, Paul, Neil, Youssef, Bill, Freddie, Dave. The most outstanding new recruit of recent years, however, must be Peter Bladen. Peter arrived in 2009 and in five consecutive seasons he has occupied top or joint top position in the Division 2 averages. 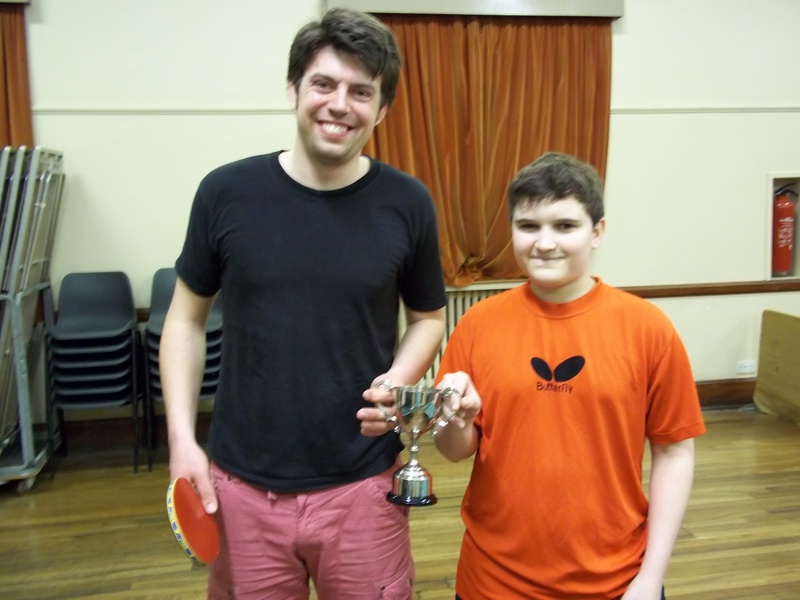 In addition, he was awarded the Corder Trophy twice for the highest league average, the over 25 singles title 3 times in the Dundee Closed Championships and also the Trident Challenge. Having gained promotion alongside Elaine Forbes and Nick Shepherd to Division 1 with the New Kids, we await with interest the next instalment in the history of St Andrews TTC. More recently maths PhD student, Jonathan Fraser, proved that a rare defensive approach of lobbing and retrieving suited his long limbs, QED. Defying the recommendations of the coaching manuals and those who tried to coach him, Jon turned out to be one of the most innovative players to have played for the club. Combining defence with an unexpected counterattack and self-developed tricky serves, Jon had a game which out-smarted players who had never encountered such an original style and couldn’t solve the problems he posed. Jon also innovated socially, bringing a youthful and infectious sociability to the club which attracted others and added significantly to the sense of togetherness. Famously, he was a prime mover in the introduction of a new tradition – a post-match “de-briefing” at a local hostelry. The club could only field two teams in 2005/6 (Prefects and New Kids) but it was to prove a memorable season for the arrival of Xue Yao Li, known as Benny to his friends. Benny was a unique, super-powered phenomenon having attended a table tennis school (academic lessons in the morning, ping pong training in the afternoons) during his teenage years in Guangzhou, China, and he represented Guangdong Province as a table tennis professional. Benny was studying at the University of St Andrews for just one year on an M.Litt programme in the School of Management and the demands of his studies limited him to only a few league matches for the Prefects. One evening, a large number of his female Chinese classmates came along to the Victory Memorial Hall to support Benny. They filled the gallery and established the record for the highest number of spectators at a St Andrews TTC home match. Suffice to say Benny demolished his Division 2 opponents without mercy. Playing left-handed with short pimples on his backhand and a sticky Hurricane rubber on his forehand, he achieved impressive spin and displayed great anticipation and control using classic Chinese technique (especially lots of waist and wrist movement). He also generously spent time practising with those who wanted to benefit from his expertise. Below is an video of a warm-up rally featuring Benny and Elaine at the University of St Andrews sports centre (no sound). The gentleman taking the photos of the players is John Scott who was producing a brochure to advertise sporting opportunities to foreign students. It is appropriate that teenager Tim Woollins played for the Swots (in addition to the New Kids) as he often swotted his physics and chemistry homework during fixtures. It is rare to witness players reading a textbook while matches are taking place all around them but Tim displayed great powers of concentration. As well as his appetite for the natural sciences, and his love of reptiles, Tim also had an enormous appetite for biscuits. Consuming a whole packet of hobnobs during the evening was an easy challenge and a trip to Tesco half way through the night to replenish his supplies was not unusual. A growing lad, he still had plenty of room for a bag of chips (thanks to Bill Sutherland) on the way home from a fixture in Dundee. When not eating or reading, Tim also has smooth forehand and backhand topspin strokes that are a pleasure to watch and enabled him to be a dominant force for many years in the club’s Eglinton Cup and Grove Trophy tournaments. 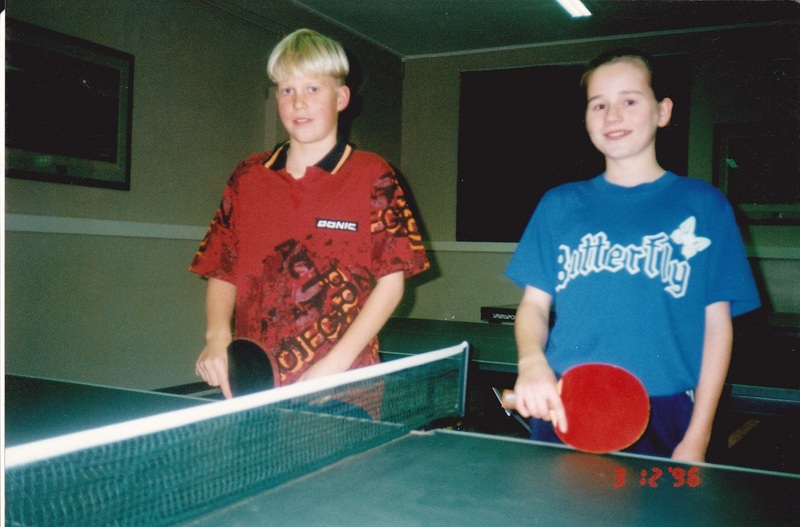 Elaine Forbes is undoubtedly the greatest player ever to wear a St Andrews TTC shirt (or at least she would be if we had club shirts). 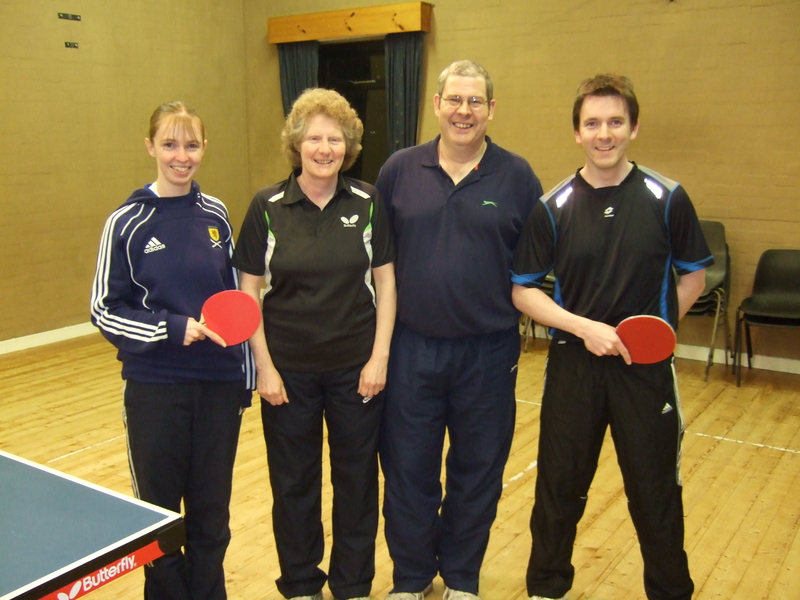 She has a special place in the Table Tennis Scotland Hall of Fame and her exploits and achievements at national and international level are described on the Table Tennis Scotland website. Since winning the News of the World Tiny Tots competition at Bognor Regis as a school girl prodigy aged 9, she has picked up an enviable number of trophies and titles. How has she managed to win so many competitions? Without wishing to give away all her secrets, Elaine’s playing style is to take the ball early off the bounce in order to hurry the opponent into making a weak response. By monitoring player movements closely, and observing how their weight is shifting, she is skilled in putting the ball in difficult places where opponents are off balance, wrong-footed and out of position. Her fast reactions, short strokes, great control and feel for the ball all enable her to block the ball back quickly using Sriver FX rubbers on both sides. Elaine’s game is also notable for a particularly strong backhand, which she favours over her forehand, effective use of no spin shots and great anticipation. Despite being an elite player, Elaine has always made herself available to help those less experienced and talented. She has selflessly dedicated thousands of hours over several decades to share her skills and knowledge with players of all ages and all abilities. She also served as a highly capable St Andrews club secretary from 1996-2012. Thank you, Elaine. Here is a list of the 90+ players whom we recall having represented the club in the Dundee and District League competitions. This history was written by Ian Smith with gratitude to Tim Grove, Elaine Forbes, Sandy Elrick, Winnie Stein and Ian McLagan for their generosity in providing information, recollections and access to handbooks.